Pretzel Logic's Market Charts and Analysis: SPX Update: Bull Fake Out? 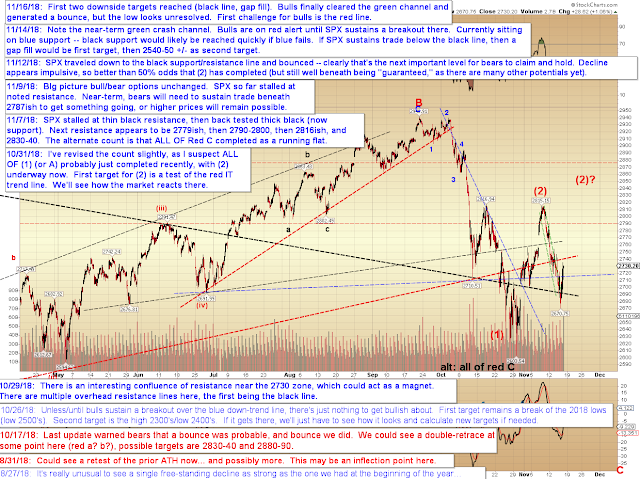 SPX Update: Bull Fake Out? 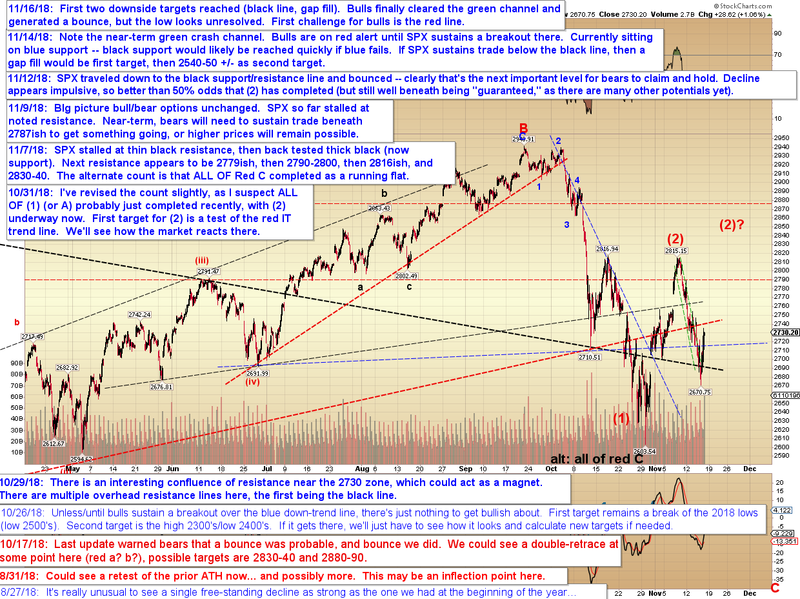 Thursday saw the first downside target from the update captured (black line), and Friday saw the next target captured (gap fill)... the market then bounced hard. This is typical for bear market rallies, as the fastest rallies on the planet are short-covering rallies. I'm torn on whether the low is a complete ending diagonal (near term bullish) or a b-wave (lower prices still needed directly) and I'm leaning toward the b-wave. If bulls can sustain trade over the red line (chart below), then I'll give more thought to the diagonal. Otherwise I suspect we'll see lower prices fairly directly -- in fact, the market could take out yesterday's low during today's session, if it wants. In conclusion, no material change. It's still anticipated that the market is unfolding a massive third wave, which should take prices significantly lower (first target 2500 +/-). Trade safe.